We have 2 days until baby W arrives and before I forget I wanted to pass along something AWESOME! 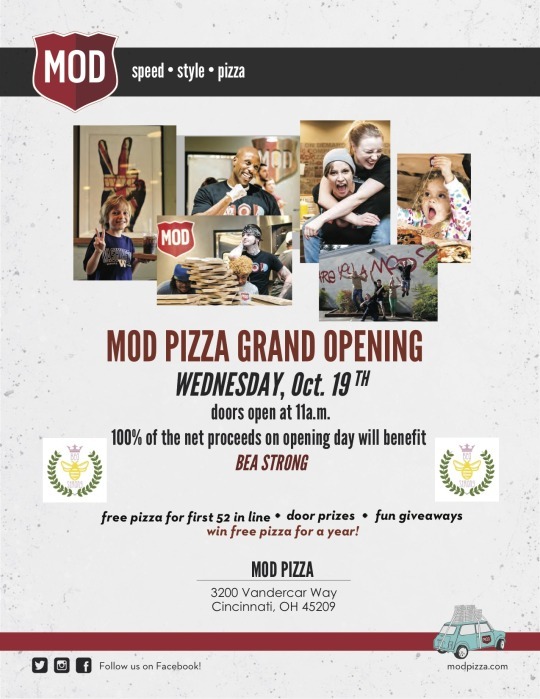 MOD Pizza is opening in Oakley on WEDNESDAY (October 19th) and all of the proceeds go to #BEAstrong! SO – help me welcome them to the neighborhood and do something GREAT by supporting biliary atresia research at Cincinnati Children’s Hospital!